Governor Acharya Devvrat and Chief Minister Jai Ram Thakur today launched the Ayushman Bharat- Pradhan Mantri Jan Arogya Yojana for the State from here today. 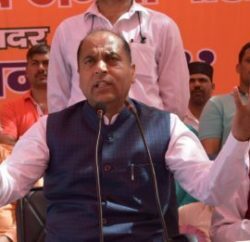 Chief Minister Jai Ram Thakur said that Ayushman Bharat- Pradhan Mantri Jan Arogya Yojana would ensure that none in the State and the country were deprived of medical treatment due to want of money. He said that this was the biggest health Scheme of the world which would cover over 10 crore families of the country. He said that about 22 lakh people of the State would be benefitted under the Scheme. He said that the beneficiaries would get an insurance cover of Rs 5 lakh for treatment. He said that as many as 175 hospitals have been registered for treatment under this Scheme. He said that the Scheme was bound to revolutionise the health sector in the State. He said that the Scheme should be publicised in such a way that every citizen of the country could be benefitted from this Scheme. He said that this ambitious Scheme would not only ensure free treatment to the people in government as well as private hospitals, but also ensure that they get proper treatment without worrying for the expensive treatments. 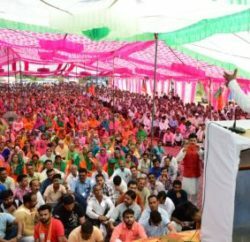 Jai Ram Thakur said that for success of this Scheme it was essential that more and more people could be educated and sensitised about it, so that they could benefit from this Scheme. He said that apart from 1800 different diseases, day care surgery has also been covered under the Scheme. He said that the State was way ahead in several health indicators in the country. He said that about five lakh families have been covered under the National Health Insurance Scheme in the State. Chief Minister said the State Government was also implementing Mukhiya Mantri State Health Care Scheme, under which over 1.05 lakh families have been covered. He said that in this way almost whole population of the State have been covered under one health insurance Scheme or the other. He said that the State Government was endeavouring to provide quality and specialised health care facilities to the people of the State. For this, the existing health institutions were being strengthened by equipping them with men and machinery, he added. Chief Minister also interacted with Ministers launching this Scheme simultaneously at Kullu, Dharamshala in Kangra, Mandi, Chamba, Solan, Bilaspur, Sirmour at Nahan, Una and Hamirpur through Video Conference on the occasion. The Governor asked the people not to depend on free medicines and other facilities and added that we should understand that by maintaining a healthy life through Yoga and taking healthy food, medication will not be needed. Thus, the money that spent on health to be used on other development works, he added. 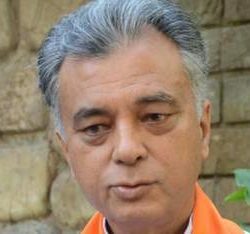 Have faith on the system of nature and conduct accordingly, said Acharya Devvrat. Speaker HP Vidhan Sabha Dr. Rajiv Bindal said that the Scheme was the biggest gift for the people of the country as well as the State from the Prime Minister Narendra Modi. He said that whole population of the State would be covered under the Scheme. Health Minister Vipin Singh Parmar said that the Scheme was being launched in the State from Shimla besides it was also being launched from all the district headquarters by the Ministers. He said that the Scheme would benefit over 50 crore population of the country. He said at about 1800 diseases would be covered under the Scheme and the whole process would be paperless and cashless.